FILE - Vice President Mike Pence gestures while speaking in Washington, Aug. 24, 2018. Pence reiterated that he did not write the article even though it contained an unusual word — "lodestar," meaning one who serves as an inspiration — that he has used in numerous speeches. The vice president said he would agree to take a lie detector test "in a heartbeat," but said it was up to Trump to decide whether other White House officials should do the same to try to identify who wrote the article. 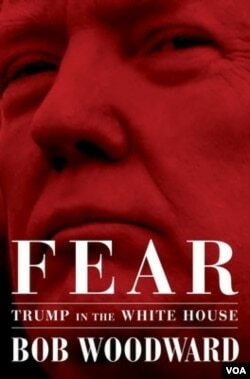 The article in the newspaper came a day after the first details were revealed from veteran investigative journalist Bob Woodward's new book, "Fear: Trump in the White House," depicting chaotic White House operations under Trump, with his own key administration officials attacking him as dangerously ignorant of world affairs. Woodward said Trump aides at times have plucked documents off the president's Oval Office desk to keep him from signing documents the officials considered to be detrimental to U.S. national security interests. Woodward, a longtime Washington Post reporter and editor, quoted Trump chief of staff John Kelly as saying that the White House under Trump was "crazytown" and that the president was an "idiot," remarks Kelly denied uttering. Trump and other White House officials have attacked Woodward's book as fiction. 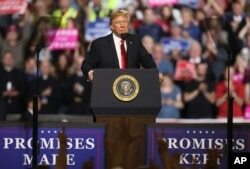 But the author told CBS on Sunday that the president's claim he does not speak the way Woodward quoted him is "wrong," saying his reporting was "meticulous and careful," backed up by hundreds of hours of interviews with current and past Trump aides. In a Twitter remark last week, Trump assailed Attorney General Jeff Sessions for bringing criminal charges against "two very popular Republican congressmen," Chris Collins in New York and Duncan Hunter in California, just as they face re-election contests in November. Trump said, "two easy wins now in doubt.... Good job Jeff." Pence said the serious charges against the two lawmakers "ought to be pursued," but defended Trump's criticism, saying it was aimed at not bringing charges too close to an election, so as to not impact the outcomes.